What follows is the story of Dragan Mihajlo Sotirović, a figure known little outside Poland and Yugoslavia. A Serbian Captain who made a vital contribution to the efforts of the Polish Home Army in South-Eastern Poland during World War II. There is surprisingly little material available. It was certainly in the interests of the Communist Polish authorities and the Soviet Union to write him out of the history books of the Second World War. And Tito, whom he met when both were guerilla fighters (and political opponents), would tar all chetniks with the collaborationist brush. There is a cinematic wholesomeness to his character, in the recollections of his friends and soldiers, so much so that I am still searching for Ukrainian, Yugoslav, or Soviet sources which might describe him as an enemy. The information here comes from Polish sources, including Jerzy Węgierski’s histories of Home Army operations in Lwów and Rzeszów, from Draża’s own memoir L’Europe aux Enchères (“Europe for Auction” – Paris, 1952), written in French immediately after the war, as well as the recollections of my father, who fought under his command in the 14th regiment of Jazłowiecki Lancers. From 1941, “Draża”, as he was known, fought as a chetnik in the Yugoslav Army, in the Ravna Gora Movement, where he served as the adjutant of General Dragoluba Mihalović, the royalist general and staunch enemy of Yugoslavia’s future leader, Joseph Broz Tito. He was captured by the Germans and transferred to a prison in Rawa Ruska, on formerly Polish territory. But his captors would underestimate his love of freedom. Draża was to make of escape a professional art. He escaped once from the Germans, three times from the Soviets, and avoided arrest countless times. Everyone seemed to have had a bounty out on his head at one time or another – Germans, Soviets, and the Ukrainain Insurrectionary Army. For the many Polish soldiers who fled to Britain after the war, in order to escape Stalin’s ill intentions, Wojtek the bear became a poignant symbol of their fate. 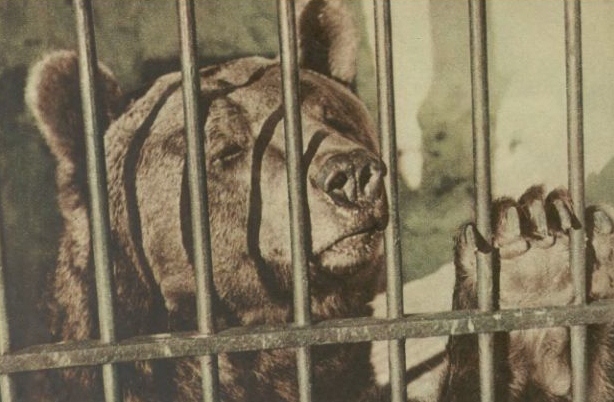 An orphaned bearcub, who travelled far from his Persian home, who fought in a great battle on foreign soil, and who ended up not only an exile, but an inmate at Edinburgh Zoo – the story resonated with the Polish diaspora in post-war Britain. My father (also Wojtek and also newly landed on Scottish soil after years of fighting) once went to visit his namesake the Soldier Bear with some regimental buddies. When they shouted over the cage to him, this kind-hearted ursine wonder perked up immediately. Everyone said he best understood Polish for that was the language of his youth, and acted much like a soldier, for that was the life he had led. Wojtek the Soldier Bear and thousands of Polish soldiers followed the same route to Britain. On 22nd May 1946, British Foreign Secretary Ernest Bevin announced the creation of the Polish Resettlement Corp, which was a holding unit for the Polish forces who had fought for the Allies and didn’t wish to return to Poland. 160,000 qualified and 115,000 joined. Many soldiers brought family members with them and over 200,000 Poles eventually moved to Britain. They signed up to the Corps on a two-year contract, were paid British Armed Forces rates, and could avail of various opportunities for training and tuition. They could also be hired out to private contractors, and thus gain work experience. My father would do a stint in a pipe factory in Derby with a whole platoon of Poles. They transported the soldiers to Britain by ship. Ship after ship made this voyage, what would become the final stage of the exodus of Poles, the last shore. 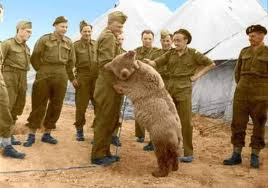 Wojtek was a most extraordinary soldier, and an even more remarkable bear. 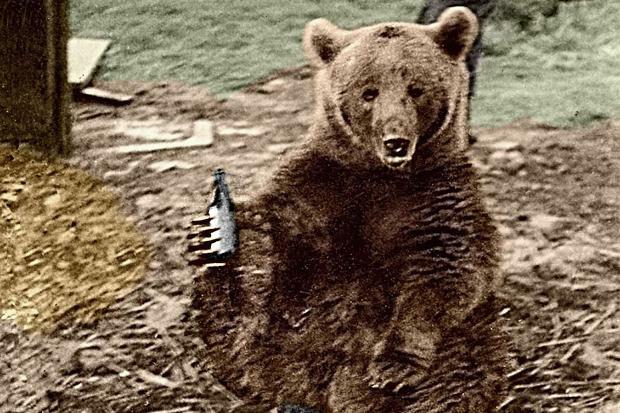 ‘Private Bear’, of the 22nd Artillery Supply Company, was a beer-swigging, cigarette-smoking Syrian Brown Bear. He had been found by a shepherd boy in Hamadan, Iran. The bear’s mother had been killed by hunters. The boy sold the cub to some Polish soldiers traveling through the desert. In 1942, the Polish Army was assembling in the Middle East, after Stalin, his hand forced by Operation Barbarossa, had agreed to allow all Poles on Soviet territory (i.e. prisoners) to leave in order to form the Polish II Corp (see Sikorski-Mayski Agreement). 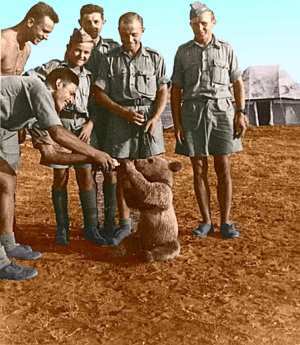 The soldiers looked after the little cub, weaning him on condensed milk, and Wojtek became the Company mascot. He traveled with the army through Iraq and Palestine to Egypt. What follows is an overview of the use of exile by the Soviet Union in Poland during World War II. While researching my family history, I was often struck not just by the extent of suffering and death that resulted from exile, but by the political reasoning which reduced every question in Stalin and the Politbiuro’s collective mind to: Are you with us or against us? Stalin could have ordered execution (Katyń) over exile (for children, the sick, and the old, the two were often synonymous), but for the man who wrote Marxism and the National Question (1913), there was both an ideological and a strategic interest in gaining the most for the state (of which he was the personification) by the ‘correct’ disbursement of human capital. Exile is perhaps the fundamental theme of City of Lions. Not only does exile alter the demographics of the points of origin and destination, but it alters the psychology of the deported and subverts tribal myths by placing them in an interzone in which life and cultural expression are partially suspended and forever altered. As an Irishman, and the son of a Polish exile, it seems fitting that I began to write City of Lions during a seven-year sojourn in former Soviet Central Asia, the place Stalin had once sent the exiles of his empire, from throughout the territory of the Soviet Union, from the Caucasus, the Crimea, the Far East, and Europe. It was there too that I met ethnic Poles whose parents and grandparents had been forcibly relocated during the Second World War. I remembered my father once telling me we had some cousins who were among them. The thought that one day, in the bazaar in Samarkand, or on the streets of Almaty, I might pass my own bloodline and never know about it eventually led me to begin my research into missing family members. There was a singular ruthlessness to Stalin’s policy of controlling the displacement of his subject peoples. After eastern Poland came under Soviet control in September 1939, my father’s cousins, along with hundreds of thousands of Poles, Jews, counter-revolutionaries, nationalists, and anyone else who had managed to escape from the Nazi occupation, and were thus, in the eyes of the NKVD, politically ‘infected’ by their proximity to the Soviet Union’s ideological enemy (and martial ally), were to be packed onto the trains. They would be sent east to remote, scarcely known places, to live or to die, or, at least to wait, with as much patience as sorrow and hunger allowed, until Stalin had devised a better solution. Of course, just who was a ‘refugee’ and who was not was a matter for the NKVD to decide. NKVD Order 00485 listed anyone of Polish origin, allegiance, or temperament as ripe plunder for the vast machine of the Soviet secret police. Poles were arrested for anything which deviated from strict Soviet requirements, for being a nationalist, a capitalist, or even a non-conformist Communist. The Soviets dermanded a politically-inert, commercially viable population for its Polish project. During 1939 -41, the NKVD deported over one million citizens of the Polish Second Republic, specifically from those territories which after the Soviet arrival in September 1939 and subsequent plebescites, now formed part of either the Ukrainian or Byelorussian Soviet Socialist Republics. A simple peasant unable to contain his gratitude towards a Red Army soldier after his country’s ‘liberation’. 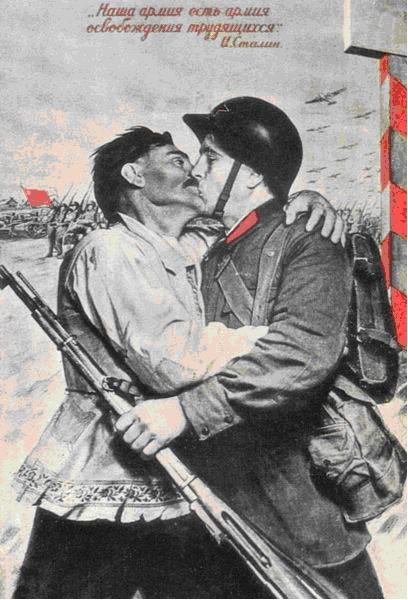 An idealized Soviet view of the invasion of Eastern Poland. 3. YOU DON’T KNOW WHEN YOU’LL BE COMING HOME! In subsequent years, the secret police functionaries outdid each other to fulfil and overfill the state quotas for executed and imprisoned ‘dissidents, spies, diversionists, and saboteurs.’ Just as its economic plans were drafted and implemented in an act of mind over matter, regardless of the resources available, Soviet purges of the late 1930’s saw ‘dissident quotas’ established. Whether these dissidents existed or not, local NKVD bosses had to make arrests based on Politburo-approved quotas. In Georgia, in 1937, for example, according to official records, they amounted to 2,000 ‘first category’ dissidents and 3,000 ‘second category’ dissidents. NKVD bosses thus could measure their careers in litres of blood. Over-zealous liquidators of dissent inevitably ended up victims themselves. Genrikh Yagoda, a Russian Jew who waded his way through a river of blood to the helm of the NKVD, would ultimately be denounced and executed. His successor, Nikolai Yezhov, the ‘poison dwarf’, in two short years would bequeath his name to the Russian lexicon as a byword for social terror – ежовщина. He was executed in February 1940, allegedly vowing to die ‘with Stalin’s name upon his lips.’ After Yezhov came Lavrenty Beria, an Abkhazian Mingrelian, who was tried and shot after Stalin’s death, not because he tortured and abused his victims or because he delighted in overseeing the ritual bloodletting of society but because he had become a nuisance in the struggle for succession. And sometimes the spectacular fall from grace was counterbalanced by an equally spectacular rise from the depths. Naftaly Frenkel, a Jewish merchant from Haifa, managed to go from prisoner at the infamous far northern prison island of Solovetsky to camp commander within a few years (picking up three Orders of Lenin for his troubles). It is tempting to see a wicked delight in Stalin’s role as the director of an epic theatrical production, creating heroes and villains predicated on a cocktail of self-presevation, whim, and dialectical materialism. The first shall come last and the last shall come first, except for Stalin himself of course. “From one little town in Poland, a thousand men women and children fled from the Nazis into Russia. When the Nazis followed they pushed on. Through mountain and desert, three thousand miles into Persia, to a haven in Iran on the Caspian Sea. Here they found a promised land, a refugee city of their fellow-countrymen deep in the foothills of the TransCaucasian Mountains.” In explaining the Soviet volte face, the Nazi-Soviet Pact and the complicity of Stalin in the persecution of the refugees are omitted entirely. An enemy’s enemy is a friend, no matter that this friend may be a once and future enemy. 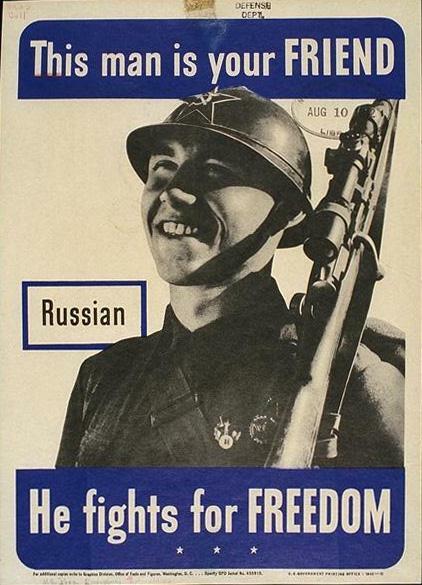 US poster presses the point that Stalin also loves freedom. The Soviet State Security Police along with other organs associated with the Ministry of the Interior and Soviet military intelligence were and still are known by their acronyms. CheKa, NKVD, GPU, OGPU, NKGB, MGB, KI, MVD, KGB, GRU – these letters conjured fear among the masses. When they came on their rounds, you could forget any notion of civil rights. You were quite simply fodder for a vast network of paranoia which demanded ever more victims. A humorous explanation of the acronym NKVD from the time ran: Ne znaesh Kogda Vernyoshsa Domoi! You don’t know when you’ll be coming home! After Beria, the heads of the secret police tended to keep their heads. The future Soviet leader Yuri Andropov was a KGB chief. Vladimir Putin once worked for their First Chief Directorate (foreign intelligence) in East Germany. Despite the revelations of the MVD’s and KGB’s role in the murder and persecution through execution, torture and forced labour of millions of Soviet citizens, they have to this day remained a powerful servant of government in Russia and other former Soviet states. It is deemed a necessary evil by some, who see a connection between any rise in Russia’s political and economic fortunes and the perceived need to control ‘dissent and disorder.’ Dzerzhinsky, the father of Soviet secrets, briefly lost his lustre in the immediate aftermath of the fall of the Soviet Union in 1991. His statues were once torn down along with countless iron Lenins. While Lenin hasn’t returned, Dzerzhinsky has. In 2005, a new bust of Iron Felix was unveiled at the headquarters of Moscow’s Police. In a climate of deep distrust between Stalin and Hitler, despite the Molotov-Ribbentrop Pact, and against a background of great social experimentation and industrial revolution which, in the eyes of its exponents at least, excused the mass transportations of whole social and ethnic groups, Stalin had drawn up plans for how to deal with the ‘refugee problem.’ All refugees from the Nazi-occupied zone who managed to reach the Soviet zone were interviewed to see if there were any spies amongst them, and then, the spies having presumably been executed, the rest, just for good measure, were transported thousands of kilometres to the East: as Wojtek’s cousin Fredek would later describe their fate, ‘some to Siberia, some to Kazakhstan or some other hell on earth.’[iii] Stalin was no stranger to implementing ethnic ‘relocation’ policies, and he used the vast emptiness of the Far North, Siberia and the deserts of the southern Soviet states as the wasteland on which to dump his human cargo. 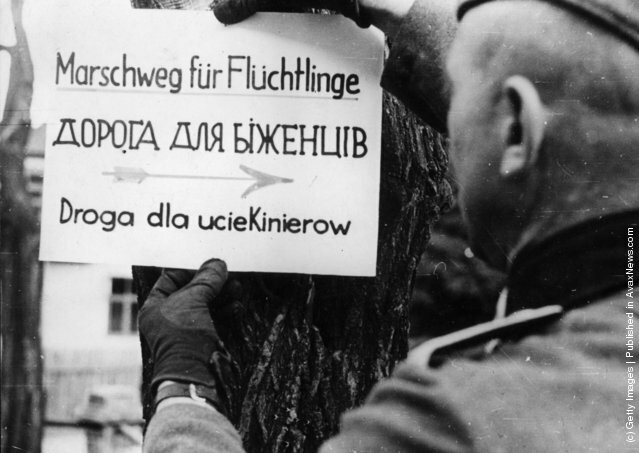 Not only were Polish refugees to undergo this deracination, but also ethnic groups within the Soviet Union whom Stalin felt suffered or might suffer from divided loyalties in a major war with Germany. These included the Volga Germans, the descendants of German pioneers, craftsmen and tradesmen, whom Catherine the Great had encouraged to settle in Russia and spread their skills in the eighteenth century. In fact, the tribes chosen for deportation represented much of the borderlands of the Soviet Union, places which caused Stalin, a Georgian, a great deal of worry. Ukraine, which translates literally as ‘On the Edge’ or ‘Borderland’, caused Stalin many sleepless nights because of its position at the gateway between Russia and the West, and was subjected to special treatment. In the 1930’s hundreds of thousands of ethnic Ukrainians, Russians, Belarusians, and Poles were deported to the East in the struggle against the ‘kulaks’, successful private farmers, who were deemed a threat to the introduction of the collectivization programme, which itself is credited with the death through famine of between 2.5 and 7.5 million people. The deportations continued far beyond Ukraine. The official reason for mass forced resettlements was invariably some form of treasonous anti-Soviet behaviour. Hundreds of thousands of Estonians, Latvians and Lithuanians, whose recent independence was nullified by Soviet invasion at the start of the War, would disappear east in the 1940’s. On February 23rd 1944, the entire population of the Republic of Checheno-Ingushetia were either exiled or killed, as punishment for the Chechen leader Khasan Israilov’s insurrection. The Crimean Tatars, in retaliation for 20,000 of their number fighting against what they saw as Bolshevik oppression, albeit in collusion with the German Wehrmacht, would also receive a collective punishment on May 18th 1944, when Stalin ordered the complete relocation of the population. In fact, the Great Patriotic War, as the Soviets called the Second World War, saw a virtual spring cleaning of much of the Caucasus and the Crimea. Not only Chechens, Ingush and Tatars, but Kalmyks, Balkars, Karachays, Kabardin, and Meskhetian Turks were visited by agents of the NKVD, and told to fill a suitcase with their personal effects and board a train bound for those seemingly endless corrals of dissenters and reprobates that lay to the north or to the east and south of the Urals. And the population transfers were by no means all in the same direction. Concerned that political events on Russia’s far eastern borders in the late 1930’s might spill over into the Soviet domain, saw Stalin order the transportation of 172,000 ethnic Koreans, as well as Chinese and ‘Harbin Russians’ (the fact that these ethnic Russians had worked on the Harbin railway in Manchuria made them ‘Japanese spies’), who would now join a growing cosmopolitan throng of human detritus in Kazakhstan. There followed Azerbajianis, Persians, Kurds, Assyrians, Moldovans, Laz, Ingrian Finns, Pontic Greeks, and Hamshenis. At times, they were transported to camps which, not having actually been built yet, they themselves had to construct. There were other instances, as in Central Asia, of groups transported by train, being kicked out in the middle of the desert. There they were thrown among the local Central Asian populations, who had their own bitter experiences of compulsory resettlement, forced abandonment of traditional lifestyles, as well as of famine and starvation, caused directly by the wholesale implementation of centrally-managed and culturally, socially, agriculturally, and economically inappropriate collectivisation programmes. Soviet Central Asia, once a sort of enlarged buffer zone which in the 19thCentury provided Russia with a bulwark against the threat of invasion from British India to the south, became a dumping ground for distrusted ethnic minorities, thrown unceremoniously among Turkic and Tajik populations whose own centuries-old traditions were being forcibly ‘revolutionized’ for the economic and security interests of their big brother to the north. This was how that great big brother had long dealt with its problematic neighbours, whether in the sable-collared tunic of the Emperor, or the plain Marshall’s uniform of the cobbler’s son from Gori, Georgia – Ioseb Besarionis dze Jughashvili, lately remoulded as Comrade Stalin. [i] Stalin’s reply to the head of his secret police concerning the question of what to do with the one and a half million Volksdeutsche (Soviet citizens of German origin) following the commencement of Operation Barbarossa, Hitler’s invasion of the Soviet Union. [ii] Although Menzhinsky died most probably of natural causes, that did not prevent future chief Genrykh Yagoda confessing to having poisoned him at his own show trial in 1938. Marek, who made his reputation in the field of sovereignty in international law, worked in the Upper Silesian Voivodship between 1929-39. When the war broke out, he first fled east (visiting my father and grandparents briefly in Lwów), before escaping through Romania and making his way to France. There he joined the Polish 5th Rifle Regiment and fought with the French Army until its surrender. He later joined the intellectual underground, producing books and pamphlets denigrating the rise of fascism and communism alike. 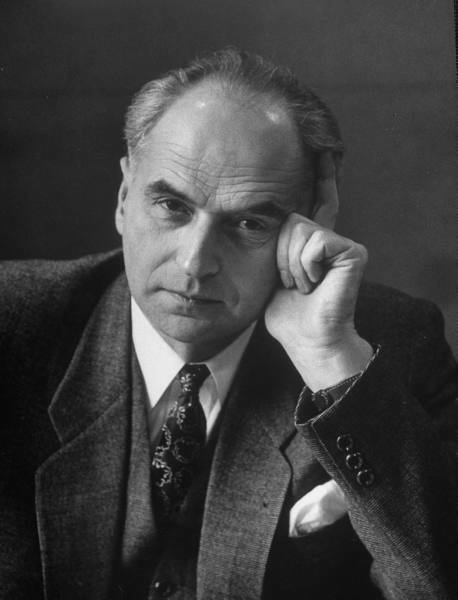 In 1946, he returned to Poland as a much-needed professor, accepting the Soviet-backed government’s assurances that the educational system would be untouched by political interference. It didn’t take him long to realize he was trapped. He worked as professor and dean at the Law Dept. in Katowice University, and was an associate professor at the Warsaw and Lublin Universities, before moving back to his alma mater, the Jagiellonien University in Kraków. He knew he would never leave if he actively opposed the Communist regime and saw, like many Polish academics, the value of saving the minds of young Poland, by working within the system. He avoided all contact with Party activities, taught a prescribed syllabus, put up with the classroom spies who reported on his lectures, and then gathered the best of his pupils after hours and lectured the unexpurgated version of international law. Marek is best remembered for his escape from Poland in 1953. His achievement was as much in the manner of his escape as in the result itself. He can rightly claim to have single-handedly wiped the smiles off the faces of the Soviet and Polish Delegations at the United Nations General Assembly; and there are photos to prove it. He could not have found a more public forum to expose many of the fantasies the Soviets proselytised in the West about the earthly paradise they claimed was Communism. 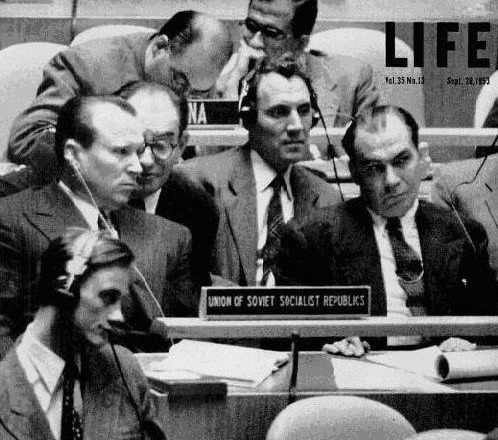 Marek was handed his moment of destiny when Poland was awarded the rotating chairmanship of the UN Legal Committee of the General Assembly in 1953. Polish Head of Delegation Juliusz Katz-Suchy, was forced to bolster the weak legal skills of his Communist diplomatic cadre with a genuine specialist. And when Marek was summoned, he thought they had made a mistake; they never allowed non-Party members out unless they had at least a family member to hold hostage in the country. He was divorced and had no children. Only on the eve of the delegation’s departure did Foreign Minister Skrzeszewski discover the oversight, but it was already too late and they obviously decided to take the risk. The delegation traveled to France to take the transatlantic crossing on the aptly named Liberté. Until the last moment, Marek had to endure the innate distrust and suspicions of delegate colleagues. His suitcase was searched, his movements watched. 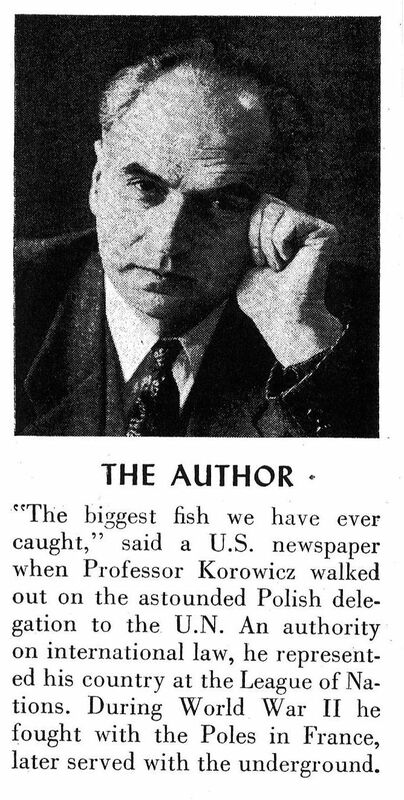 All the delegates were told when they reached America not to engage the capitalists in conversation and Marek was scolded by Katz-Suchy for talking to the elevator attendant at the Chatham Hotel, in New York. It was from there that he made his escape. He walked out in the fresh Manhattan morning air, and enjoyed the exhilaration of freedom, which he had not felt since before his return to Poland in 1946. He phoned Stefan Korboński (who himself had fled Poland five years previously), and within a short time Uncle Marek was the breaking news amidst headlines which spread throughout the Western World. POLISH DIPLOMAT FLEES RED TERROR. REVEALS HORROR OF COMMUNIST SYSTEM. THE BIGGEST FISH WE HAVE EVER CAUGHT. 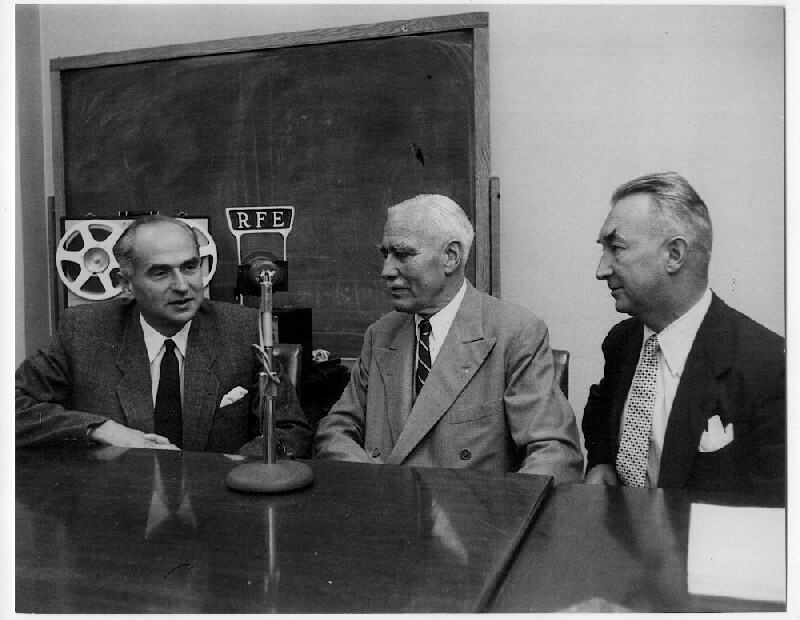 He informed UN Secretary General Dag Hammarskjold and President of the General Assembly Madame Vijaya Lakshmi Pandit of his decision to renounce his credentials, saying that it was ‘absolutely impossible for me to collaborate with these representatives—not of my beloved country—but solely of the Soviet regime in Poland.’ Marek was put under 24-hour FBI protection. Assassination was a real threat and The Chicago Tribune claimed that ‘at least 18 known agents of Russia or Red satellite nations carry guns’ on the streets of New York while claiming diplomatic immunity. 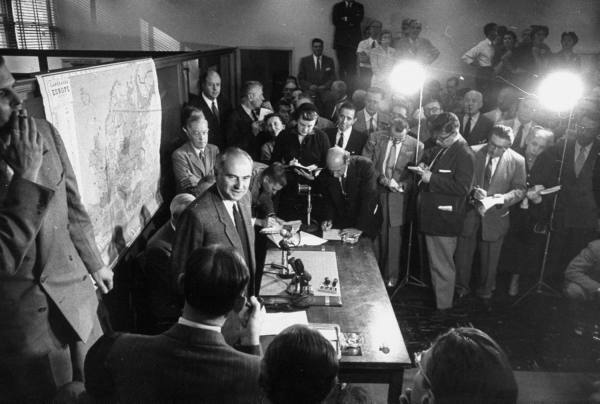 It was the height of McCarthyism; within a week of his arrival in the US, he was testifying before the House Un-American Activities Committee. He was detailed and blunt, warning of Communist expansionism, through political and industrial espionage. He urged the breaking off of all diplomatic and trade relations with the Soviet Union as the best method of checking the spread of Communism. Those newspaper headlines and interviews from New York to Hobart, reveal the polarization of a political and social feud which would frame the lives and deaths of the following two generations: IF I WERE A DIPLOMAT FOR THE WEST…, POLE ALLEGES RUSSIAN WORLD PLOT. REDS HOPE FOR WORLD CONQUEST BY 1970 OR 1980, POLE TELLS: WHY I QUIT THE REDS. Marek’s defection was emblematic of an intrigue becoming of the danger and suspense which were fast becoming the hallmarks of Cold War politics, when America’s wartime ally became its peacetime foe. Since the end of the Second World War, the Soviet Union and United States firmly staked out the citadels of their prospective empires on the map of the world. Starting in Europe, and as agreed at Yalta and Potsdam, the line went from the Baltic Sea, through defeated Germany down to the Dalmatian Coast. 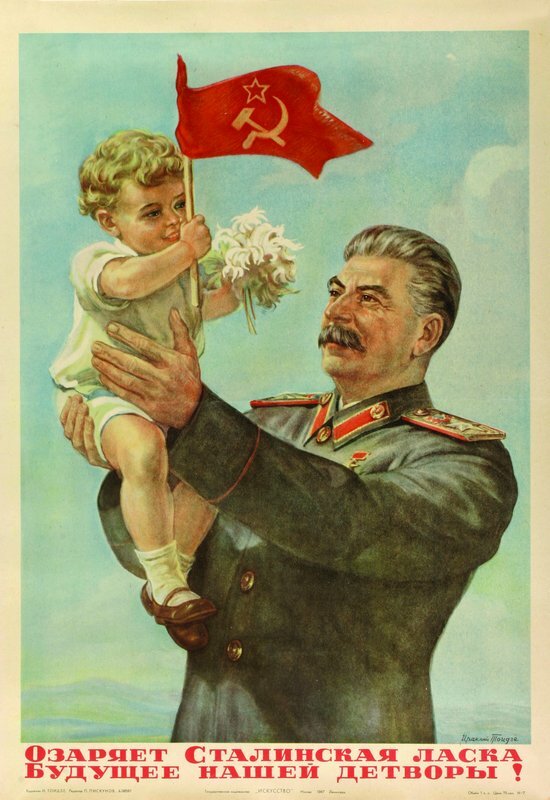 Stalin’s ruthlessness in violently suppressing any notion of independent rule in Eastern Europe by producing his own local Communist governments backed by Soviet tanks, was as foreboding to the Americans as it was disastrous to the peoples of Czechoslovakia, Romania, Poland, Latvia, Lithuania, Estonia, Hungary, Yugoslavia, and Albania. If the trial of the leaders of the Polish Underground on charges of terrorism in 1945 and the Czechoslovak coup d’état of 1948 demonstrated the unrefined but effective tactics of Soviet expansionism, then the American and British reaction to the Berlin Blockade showed to what extent the Western Allies were willing to go in order to check the Soviet advance. When Truman and Atlee could no longer deny that abandoning the little Europeans of the East to the whims of Stalin would never be enough to ensure a secure and cooperative Soviet Union, then perhaps there was a brief moment of opportunity for bolstering the independence movements of the smaller nations. But that final window, a chance to prevent fifty years of proxy wars, only lasted from May 12th1949, when the red-faced Soviets lifted the blockade from Berlin, until August 29th when a 22 megaton Atomic bomb was exploded in a testing ground in Semipalatinsk, Kazakhstan. With the Soviets now content members of the atomic club, the Cold War would change gear and move further afield to test its participants’ will for a fight. In exile, Marek was granted asylum and offered the post of Professor of International Law at the Fletcher School of Law and Diplomacy. He continued to publish books on legal issues and an autobiographical account of life in Communist Poland. He died in 1964 still missing his favourite Tatras. He was a keen mountaineer and had been a founding member of the Katowice Mountaineering Club. 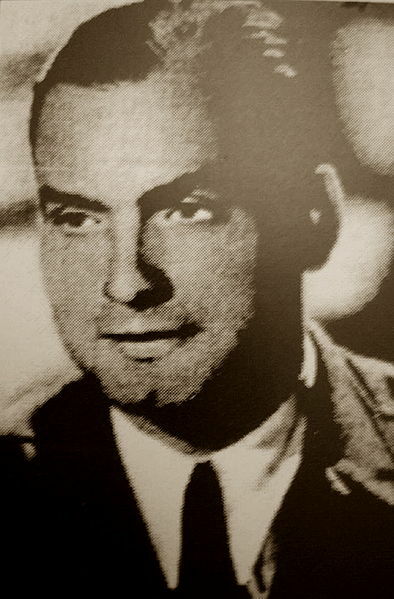 The villain of the story, Head of Delegation Juliusz Katz-Suchy, who played unflattering foil to Marek’s knight of anti-communism, was himself not immune to the vagueries of politics. As a UN representative, his colourful invective had already made him a favourite of journalists ‘who noted he even spiced his Marxist denunciations of the U.S. as warmonger, slavemaster and cannibal with quotations from Shakespeare.’ In a LIFE magazine article on Marek’s defection, the caption beneath Katz-Suchy’s image reads: “Boss of delegation was a vain braggard, Juliusz Katz-Suchy. The author [Marek] was impressed by the fact his ignorance was matched only by his ill breeding. On his way over, French food did not satisfy him.” Katz-Suchy’s communist credentials which had once conferred upon him the privileges of power would not protect him from the anti-Zionist campaign in Poland, which followed 1967’s Six Day War. He felt forced to emigrate to Denmark in 1969, and died, like Marek, in exile. The Polish-administered part of the territory of Silesia, disputed by Poles, Germans, and Czechs. Following uprisings of Poles in German-occupied Silesia in 1919-21, the German-Polish Accord on East Silesia saw shared sovereignty and relative peace until 1939. Chicago Tribune, September 21, 1953, sec.1. p.2.